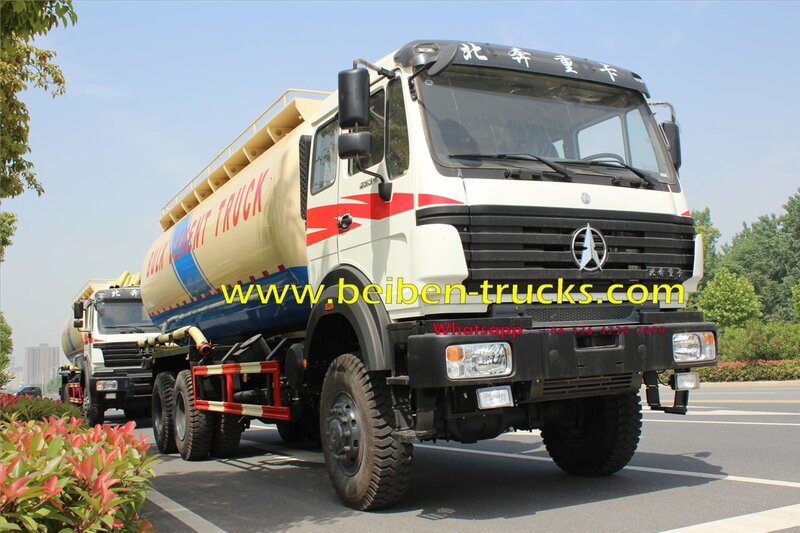 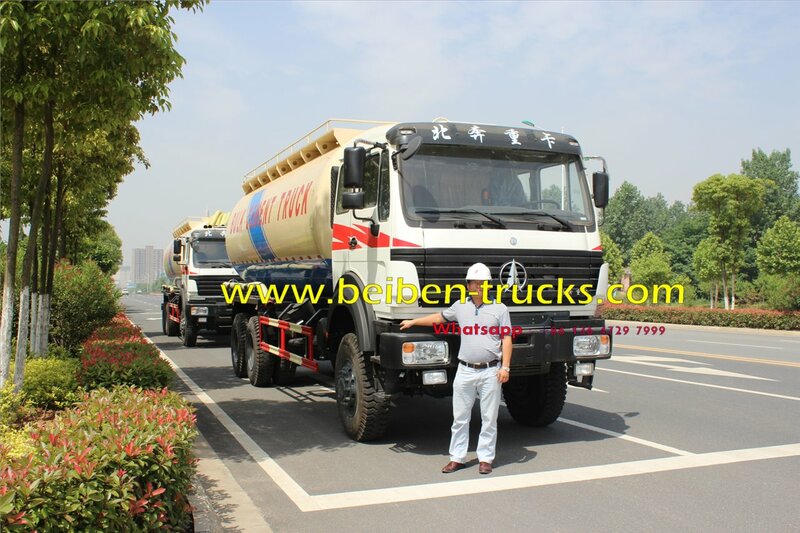 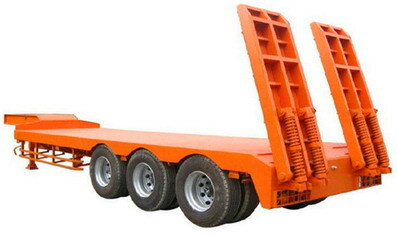 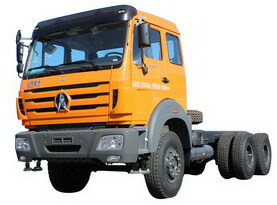 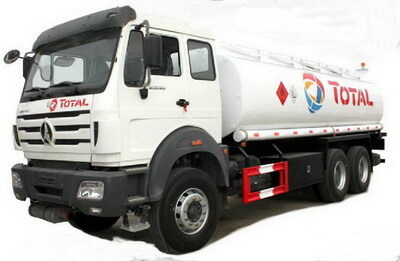 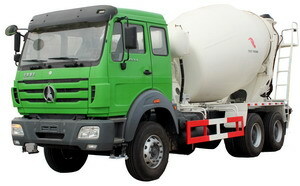 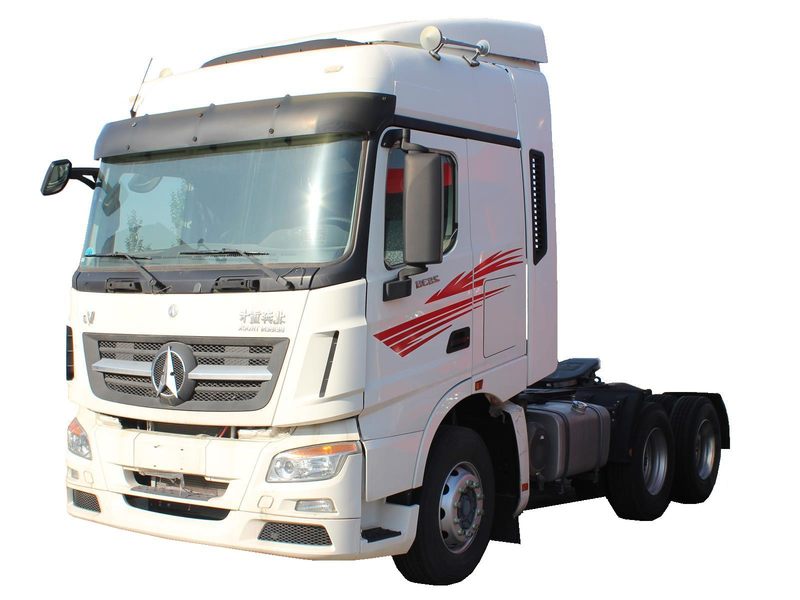 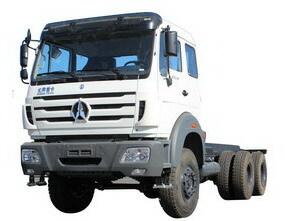 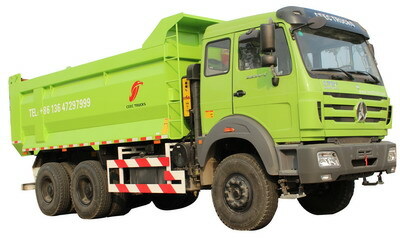 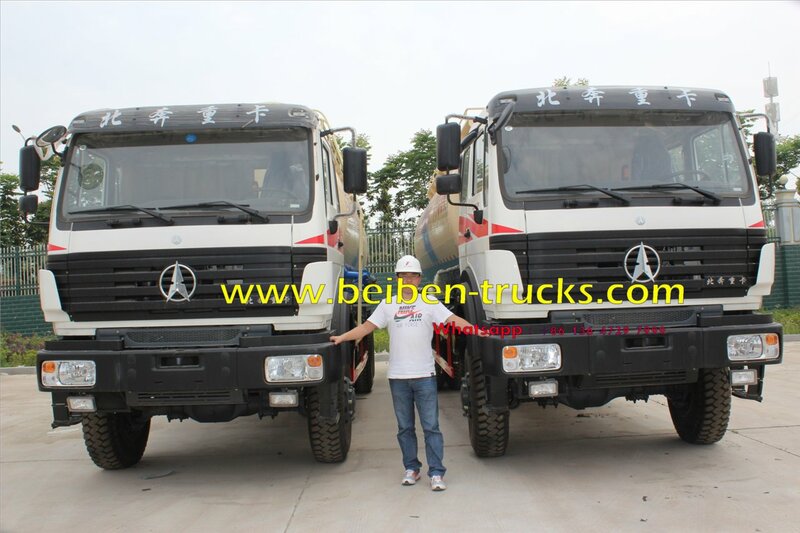 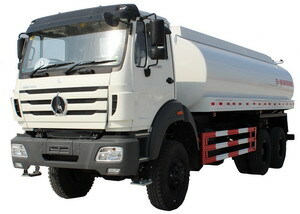 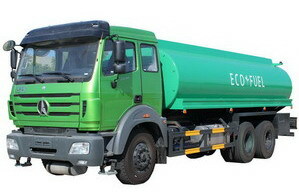 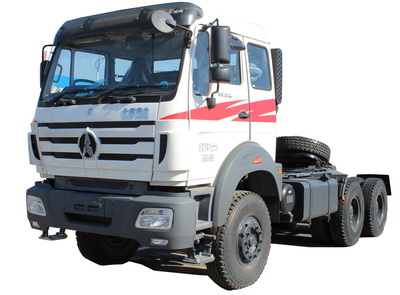 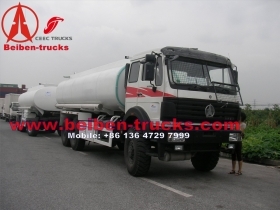 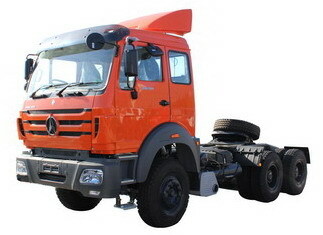 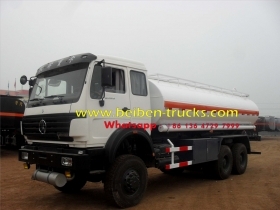 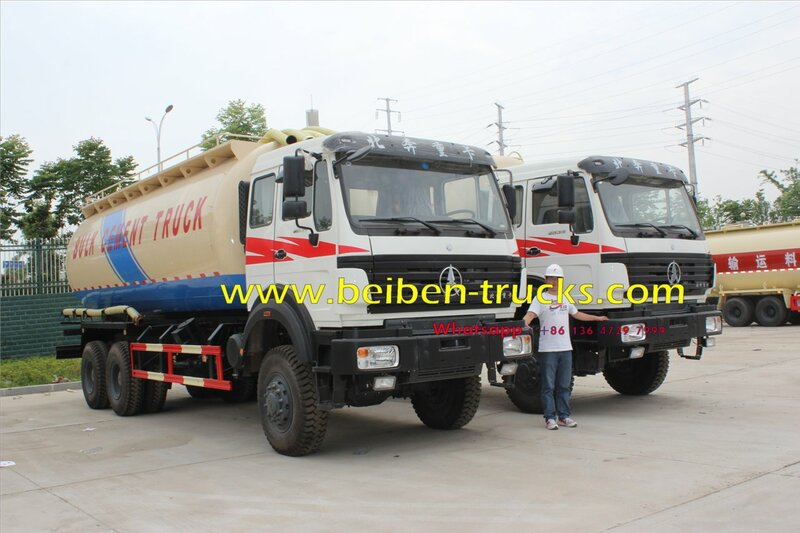 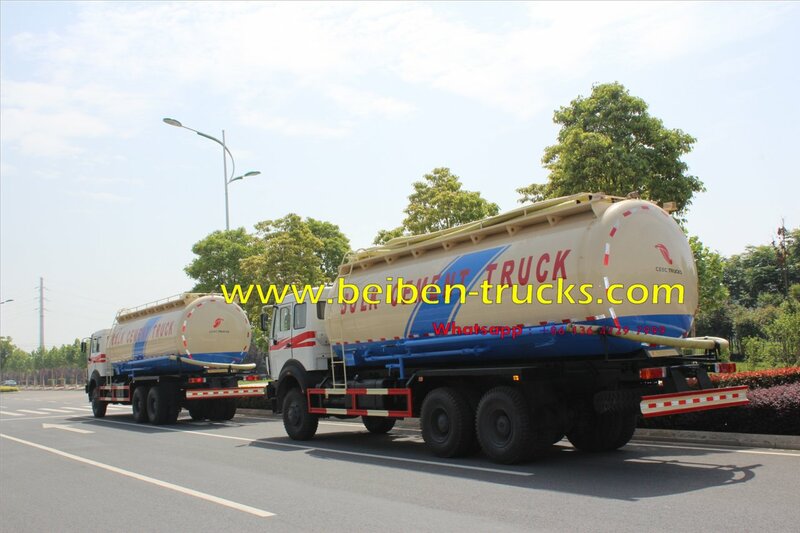 How to produce beiben 2530 fuel truck ? 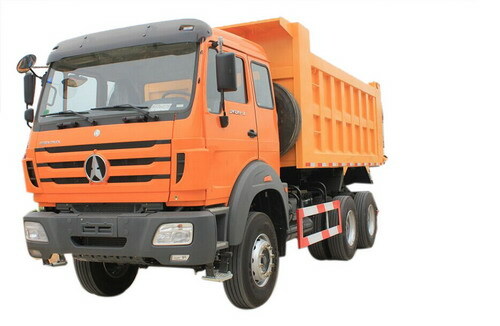 Address: No 9 , auto industry park, suizhou city, hubei province, china. 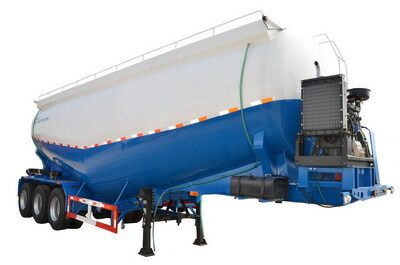 Straight cylindrical tank body is made of 5mm quality steel plate with firmly and evenly welded 6mm standard ellipsoidal heads on both ends, which features overall high strength, rigidity and excellent pressure bearing performance. 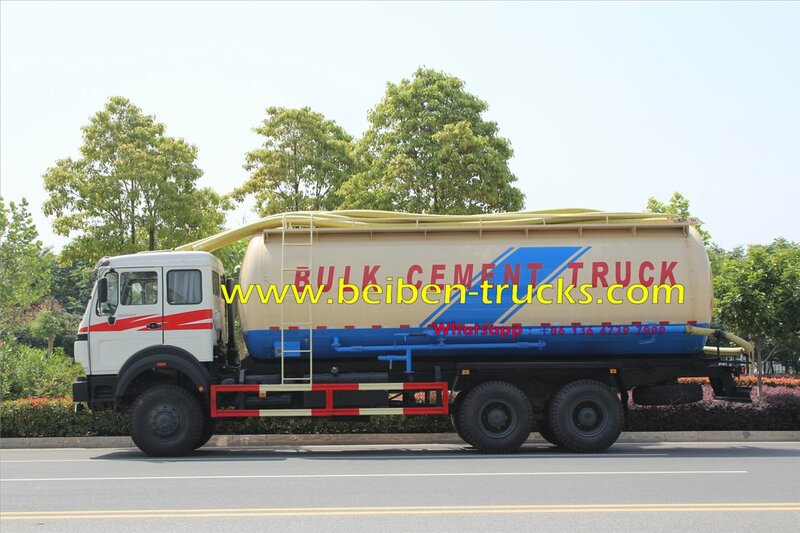 The reasonable layout of the tank body with two chambers shortens the discharging time, enhances the operating factor of the tank capacity, and reduces residual rate. 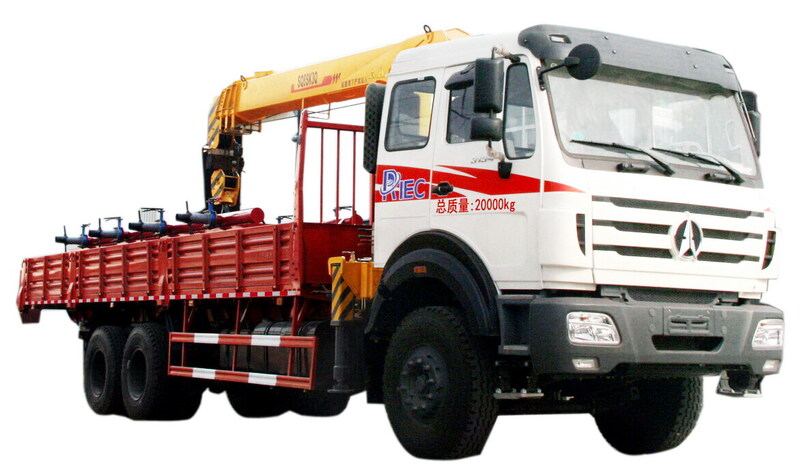 There is an air intake pipe and a discharge pipe at the front and rear air chambers respectively, which can be opened simultaneously and controlled separately via their respective ball valves and butterfly valves. 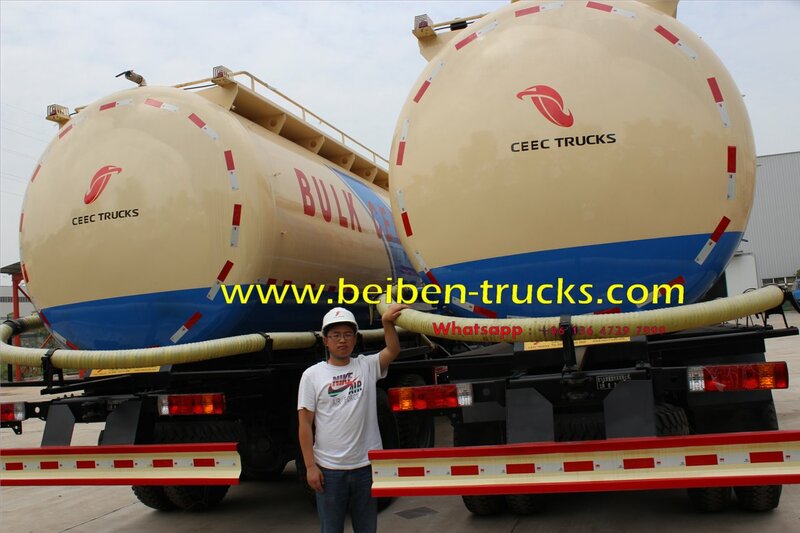 When the system pressure is about to be higher than the rated pressure, the safety valve of the pipeline will exhaust for the convenience of operations above the tank body. 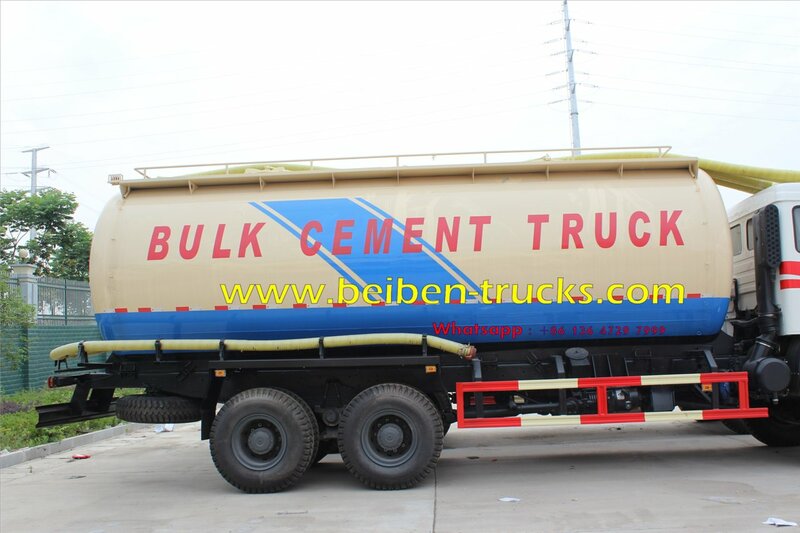 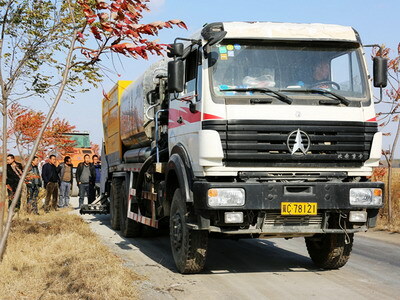 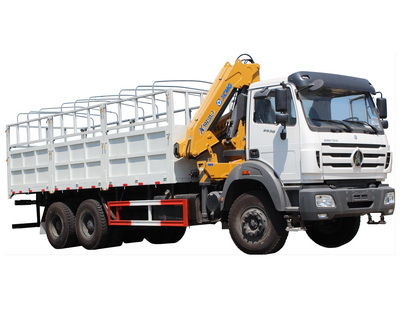 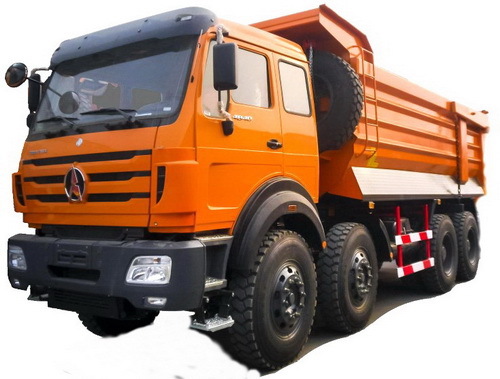 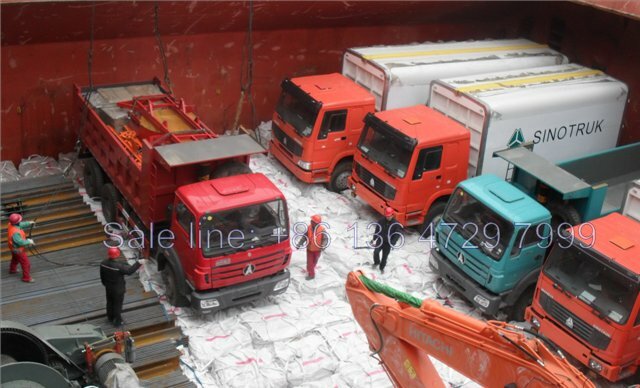 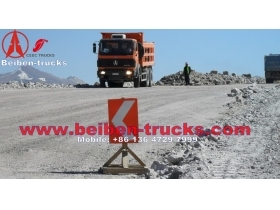 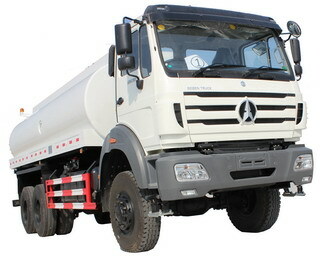 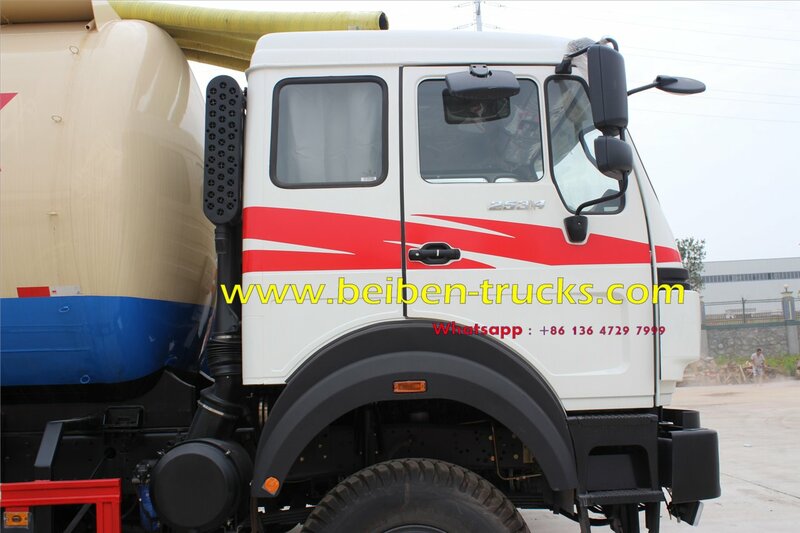 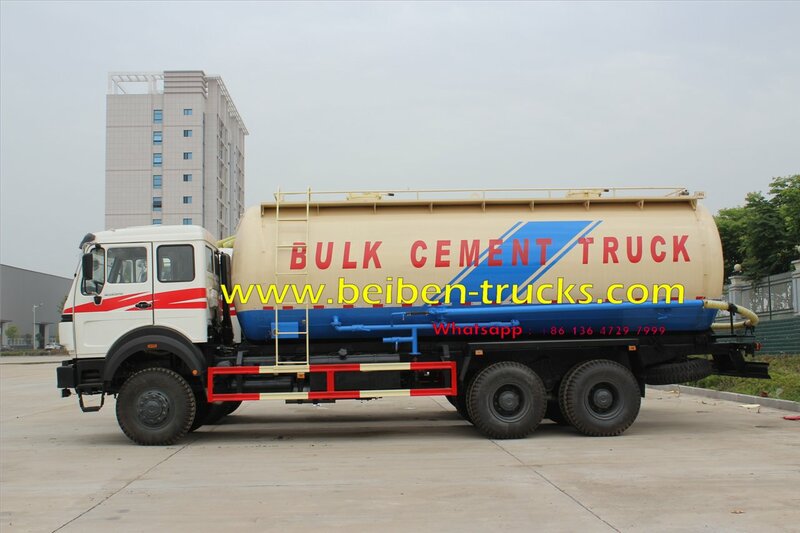 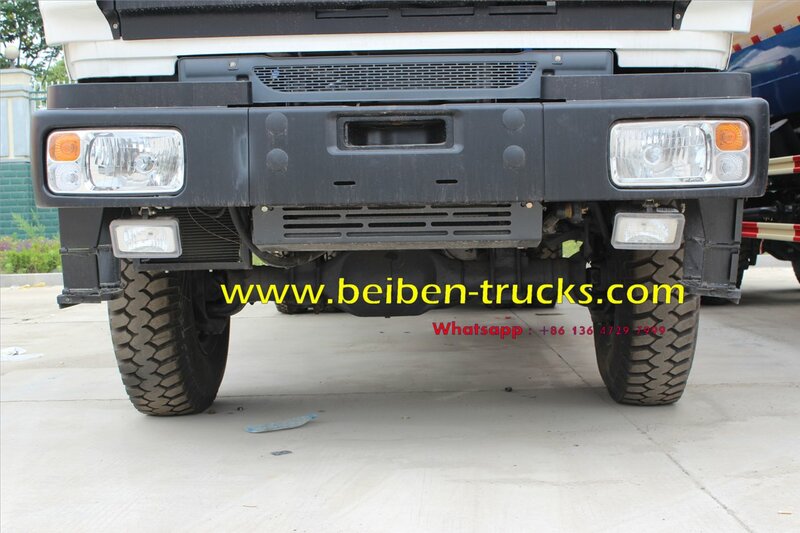 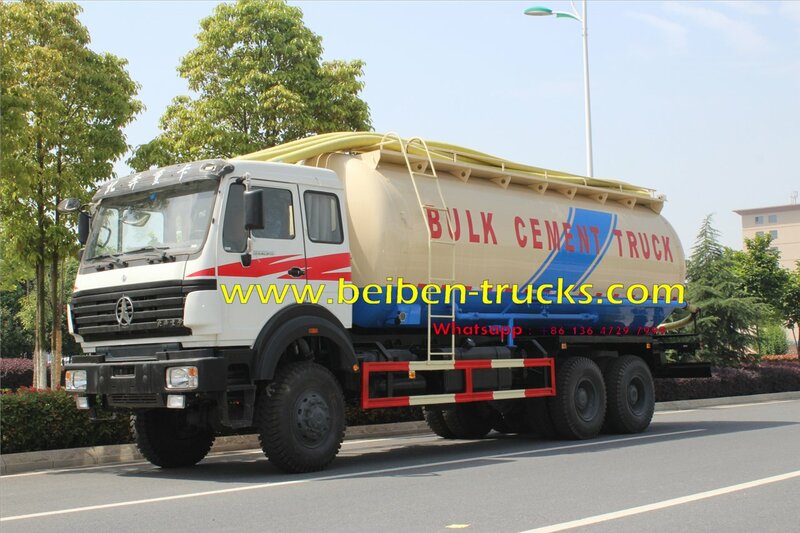 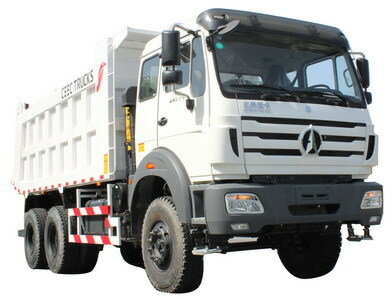 The power of the beiben 2534 off road bulk cement truck is taken from the left output shaft at the rear part of the gearbox, which is accurately connected to the external power takeoff. 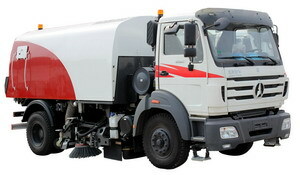 The power takeoff is controlled by the bottom-left push button on the instrument panel in the cab. 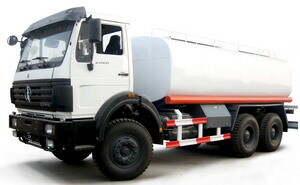 The speed regulating device in front of the tank body is easy and convenient to operate. 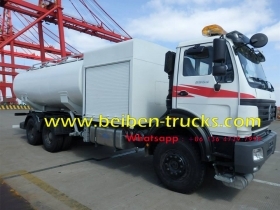 The control gas circuit is powered by the auxiliary gas circuit on the cement truck chassis, which has no impact on the safety of running the truck. 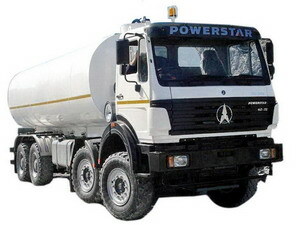 hydraulic steering with power assistance,Amecica FOWO . 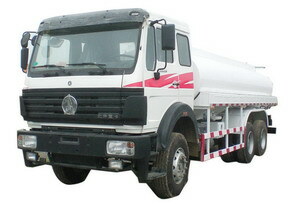 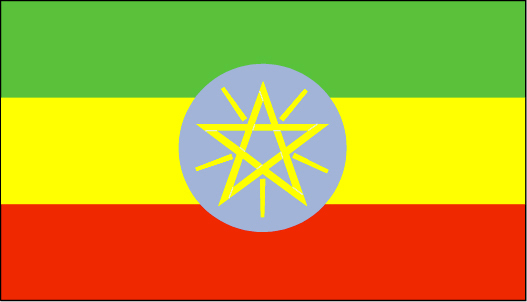 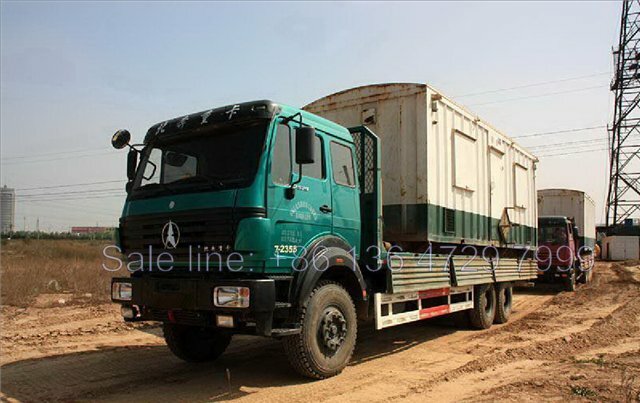 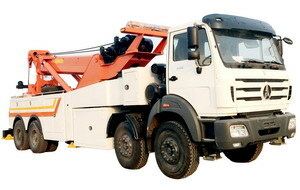 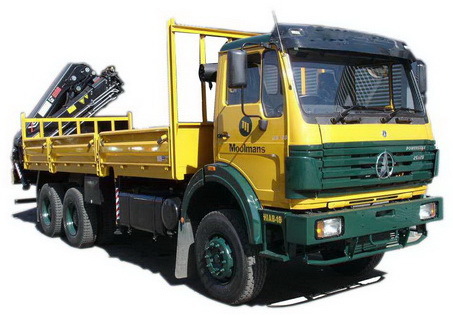 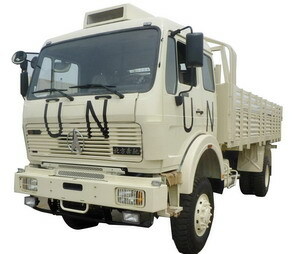 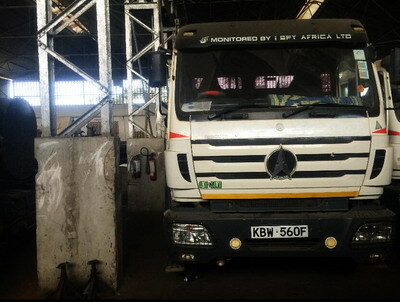 Beiben 20 T cargo truck used in ethopia , addis ababa. 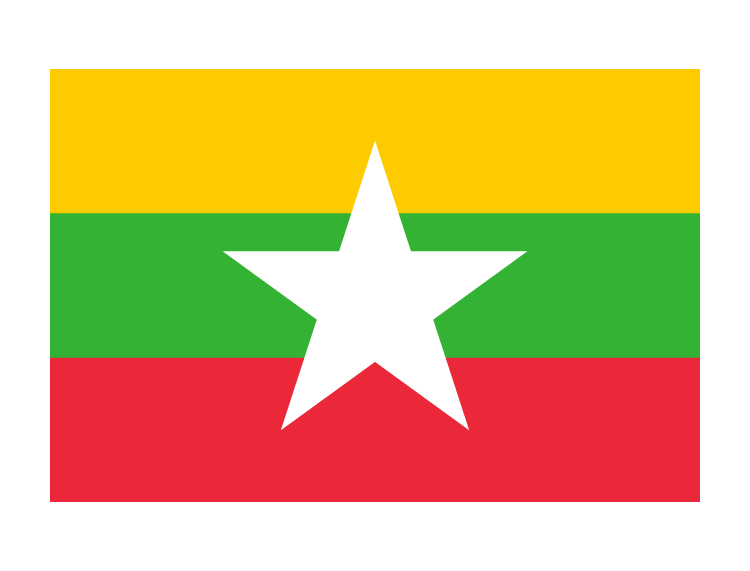 Please Feel free to give your inquiry in the form below.We will reply you in 24 hours. 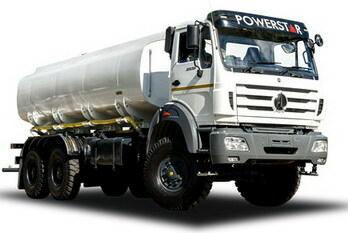 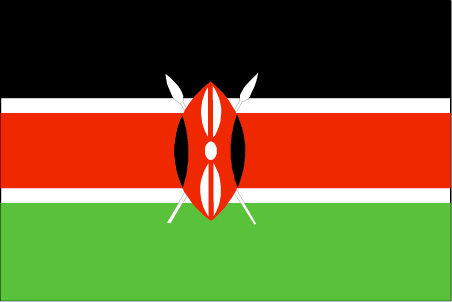 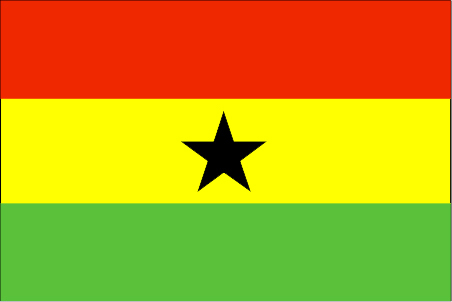 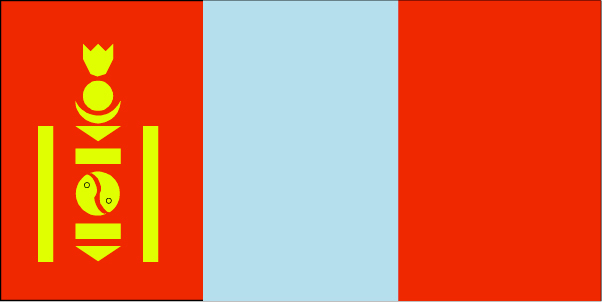 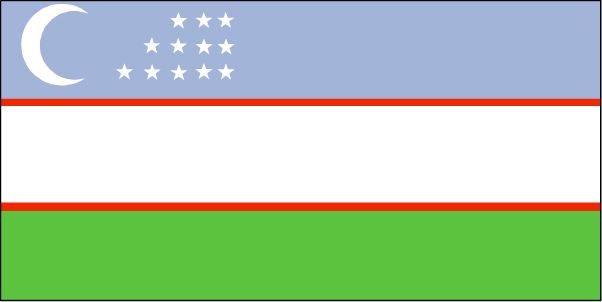 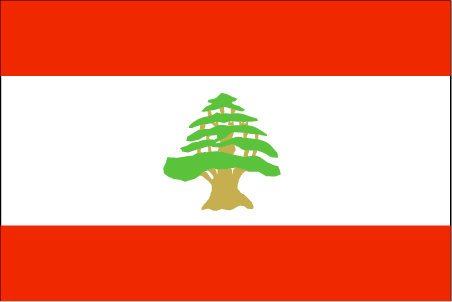 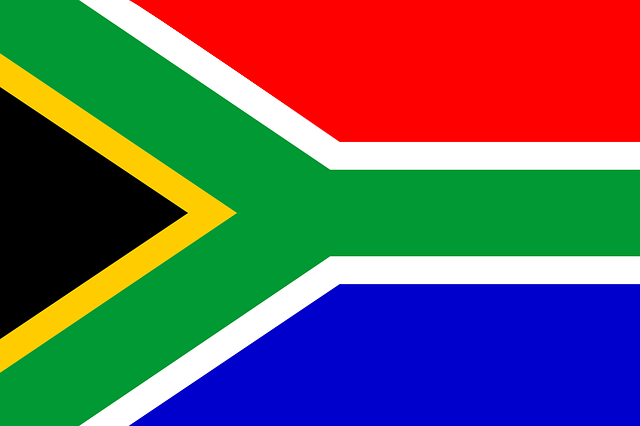 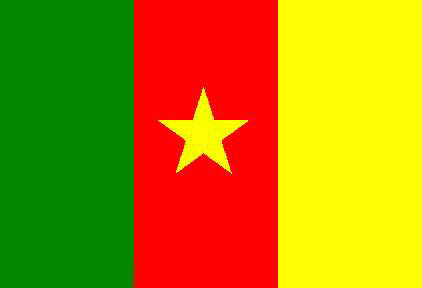 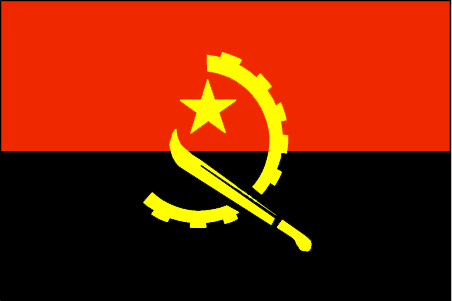 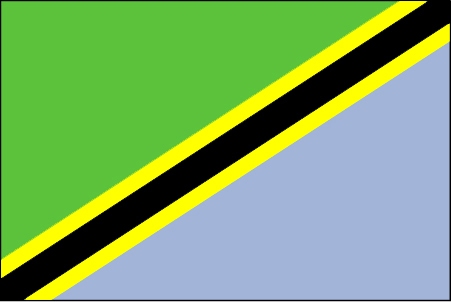 Message: Please enter details such as Engine Horse Power, Loading Capacity, LHD or RHDm Other Requirements. 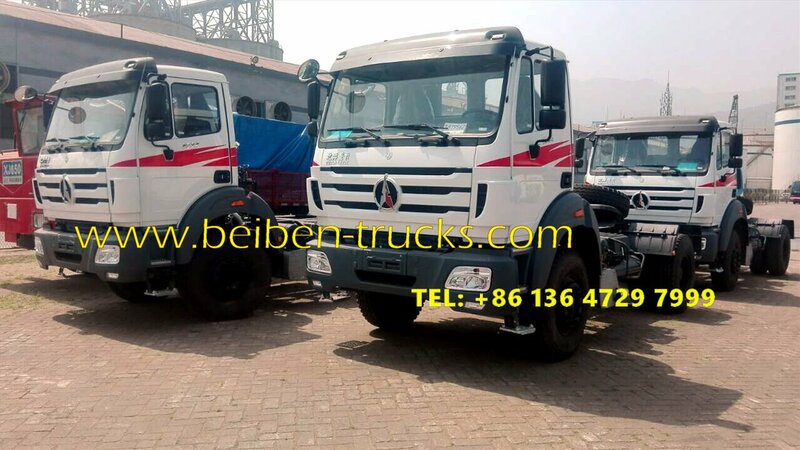 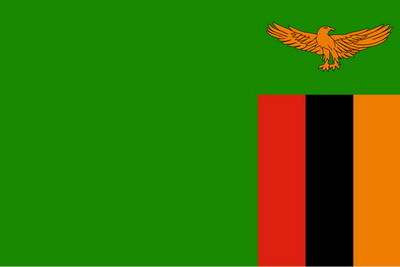 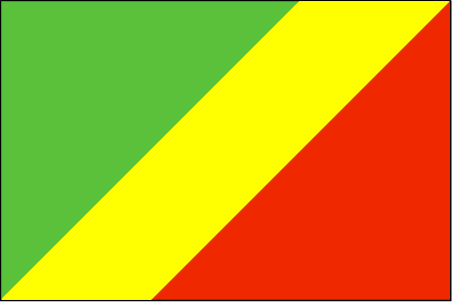 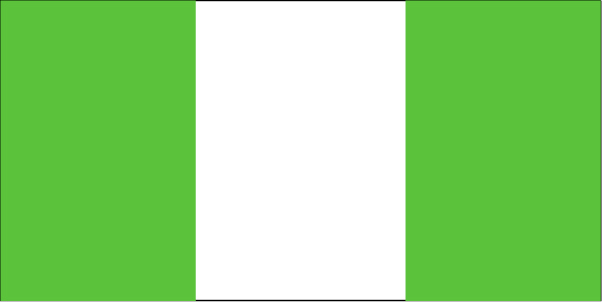 Copyright © 2004-2018 CEEC TRUCKS INDUSTRY CO.,LIMITED All Rights Reserved.